Experience the unique rugged environment that the UK mountains offer. We can suggest an interesting route for your group that takes in all that you require from the day out. This activity aims to guide your group safely through the mountains giving a ‘guided’ experience, for courses offering more technical instruction or navigation see the links below. We offer this activity usually as a full day option, it can be a shortened day if required but usually will not allow time for another full activity. That said, if its a valley walk or a smaller peak you are thinking of we may be able to create a bespoke day for your group including another activity. 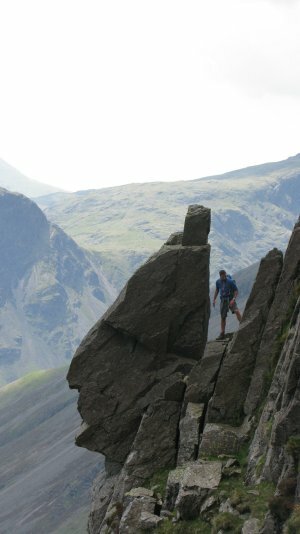 We can often include an interesting link up walk between 2 activities for example, or summit a peak taking in a scramble on the way, see Scrambling – Guided Scrambling for Groups. We generally run our group walks in the Lake District, a brilliant venue for walking with Scafell Pike often being a draw for 3 Peaks Challenge groups. We do also guide walks in Scotland and Yorkshire though, Ben Nevis and The Yorkshire 3 Peaks for example. We can easily offer the service elsewhere and are able to travel to you. We are very flexible and mobile with this service and can advise on the best place to run a residential programme from and choose the best venues for your selected activities. Note – for summer navigation instruction see Summer Navigation and for a range of general summer mountain skills see our Hill Skills course.